My wife and I went to Disney Springs on St. Patrick's Day. 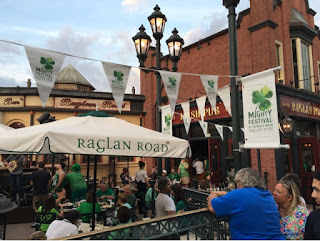 Although we didn't eat at Raglan Road, it was fun to see the party going on there. It was certainly the "place to be" on that night.